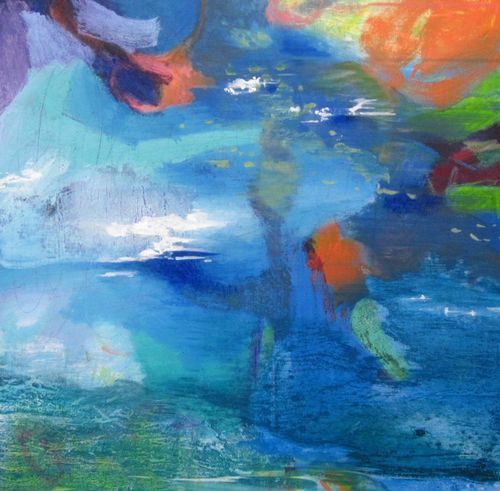 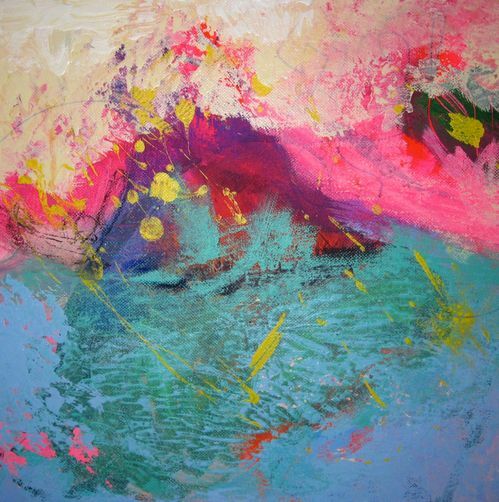 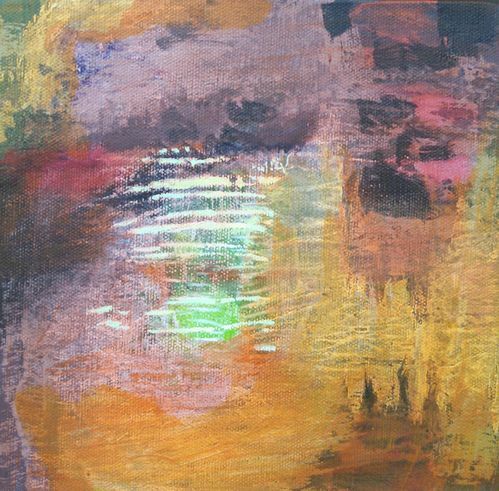 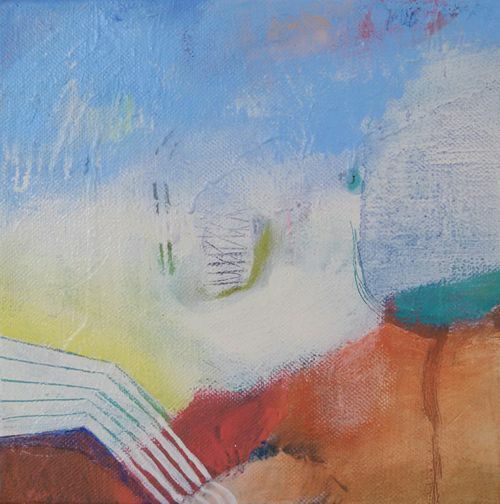 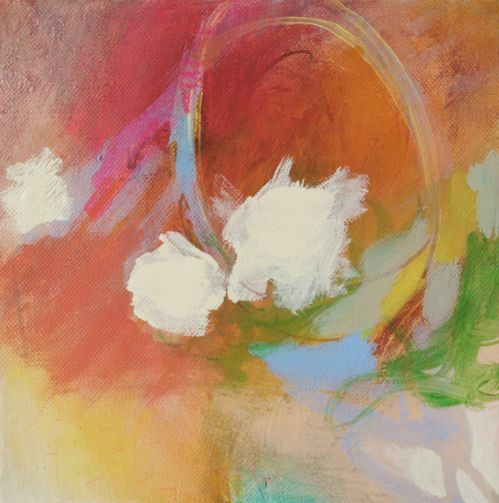 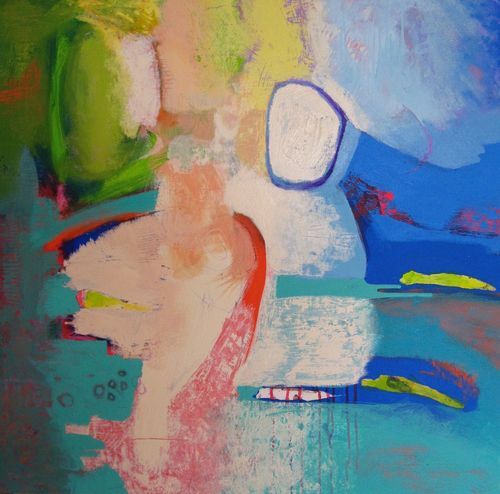 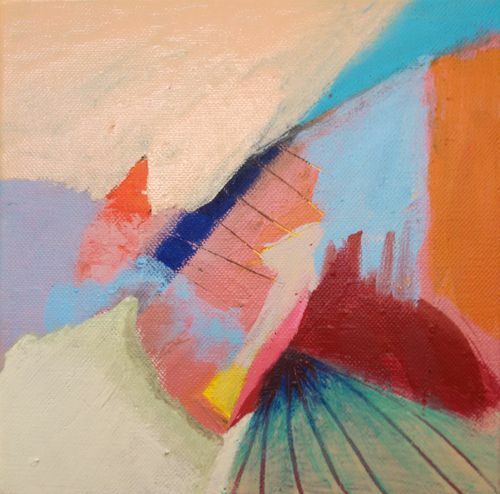 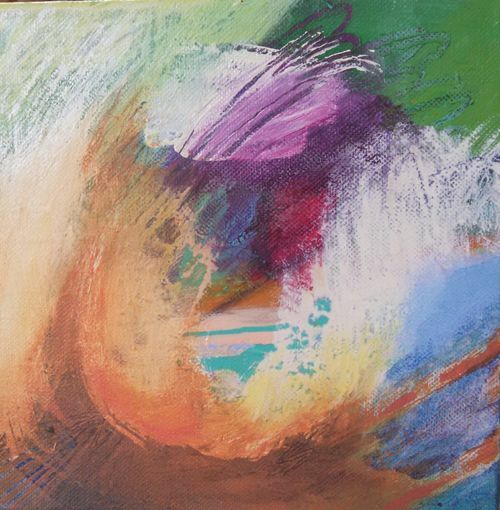 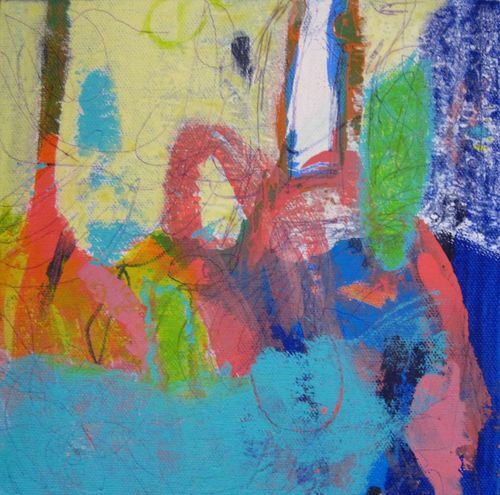 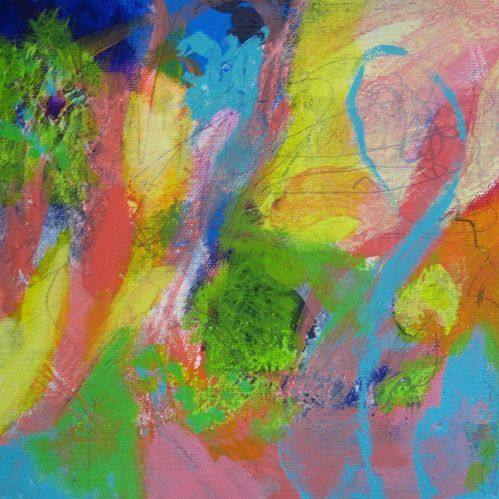 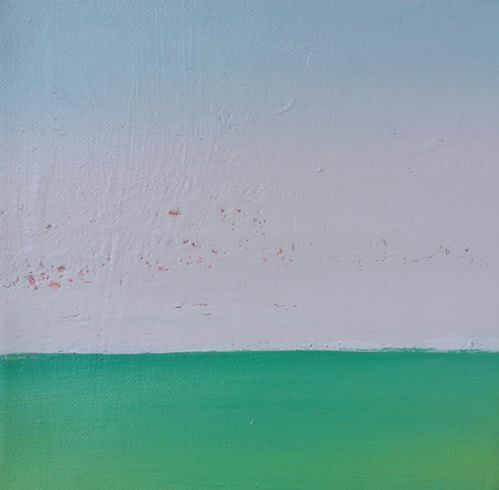 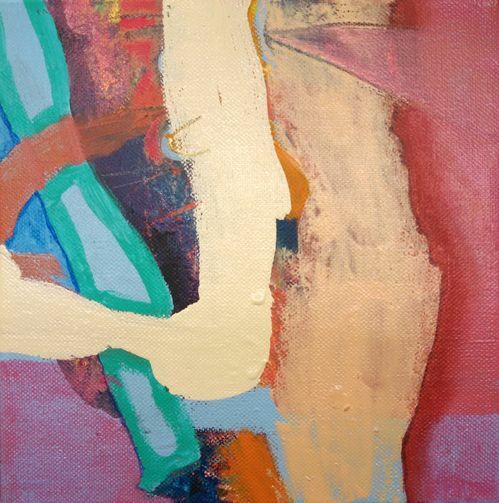 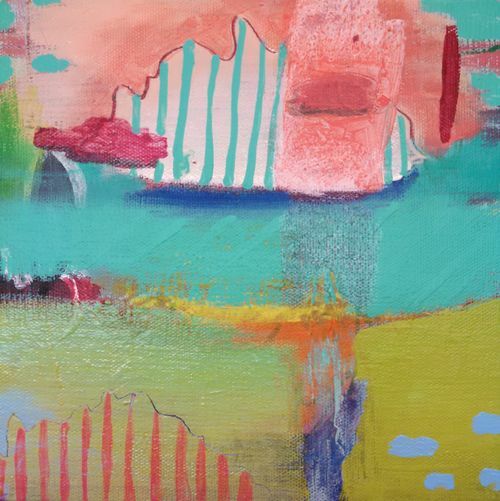 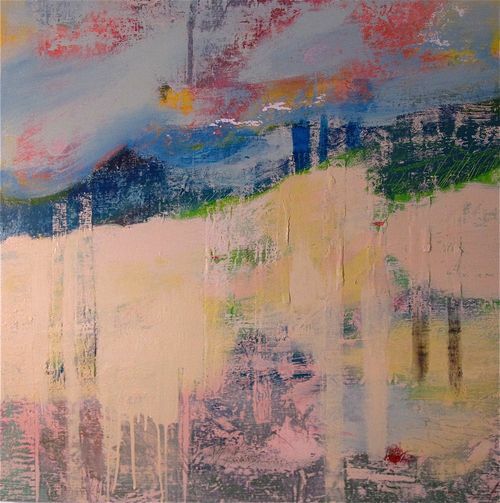 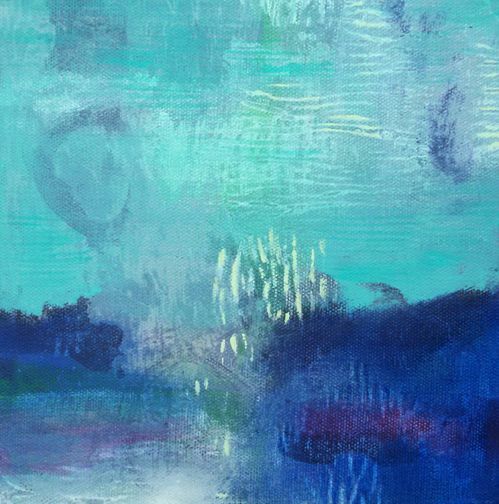 Jill's work is an abstract blend of bright colors that belie an influence from her tropical surroundings. 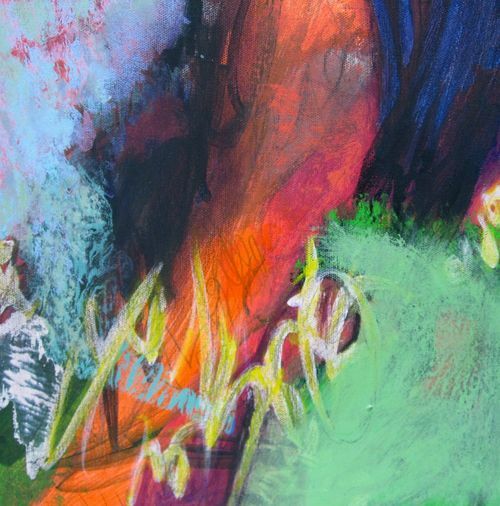 She applies different colors of paint and marking with various tools, oil pastels, markers, graphite, charcoal and crayons.  Jill Caldwell moved to Key West in 1997 after falling in love with the island as a child. 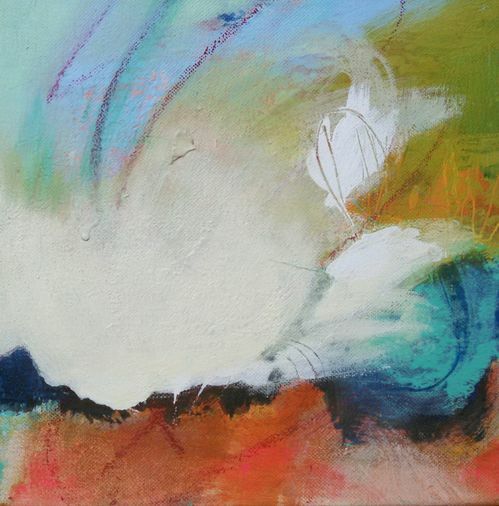 "I build layers and remove layers," Jill says. 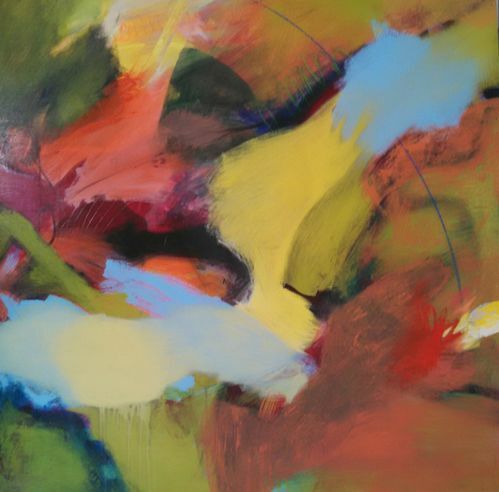 "It's an organic process of letting the painting evolve on its own. 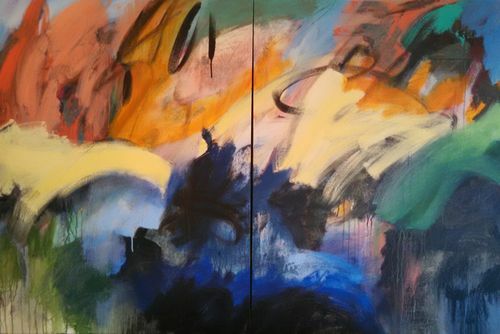 Part of the thrill is using techniques that leave a lot up to change, whether its removing wet paint from the canvas, scratching into the surface to reveal what is underneath, or washing away some of the paint."